It’s been said that a good photograph takes an instant out of time, and alters life by holding it still. It’s also said that the best still images, are moving. They move you beyond time and space, move you emotionally, spiritually and intellectually. They move you because they tell an entire story, in a single frame. Such is the power of photography. To honor World Day of Animals that falls on October 4th each year, we’ll feature some of our fellow earth-inhabitants that deserve a second look and attention to their plight. 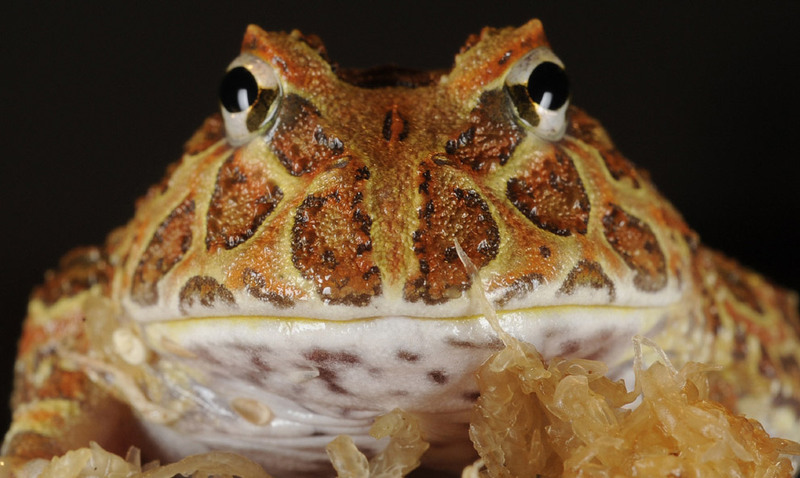 Here’s the Chacoan Horned Frog. A brief background on how World Day of Animals came about: the roots go back to Florence, Italy in 1931 at a convention of ecologists. On this day, animal life in all its forms is celebrated, and special events are planned on locations all over the globe. October 4th was originally chosen as World Animal Day because it is the feast day of Francis of Assisi, a nature lover and patron saint of animals and the environment. Numerous churches throughout the world observe the Sunday closest to 4 October with a Blessing for the Animals. World Animal Day has since expanded its focus from its original intent, which was to bring attention to endangered or threatened species. The day is now set aside as a time to reflect on all of the animals we share this world with, and our involvement with them – and to spur action to commemorate that respectful relationship. Half the world’s mammals are declining in population and more than a third are probably threatened with extinction, according to an update of of the Red List (an inventory of biodiversity issued by the IUCN (International for Conservation of Nature). This entry was posted in Endangered Species and tagged Flora & Fauna, World Animal Day. Bookmark the permalink.